One of the many traditions we've started over the past few years is a traditional family Easter egg hunt. I'm sure most families do this but it wasn't something we did growing up. When my oldest was born I made him this adorable duck Easter basket. When my daughter was born, she got an Easter Bunny basket. Now with my 3rd child, we went back to a duck Easter basket. Today I thought I'd share with you how to make your own Easter basket. *This post contains affiliate links to products I have used and highly recommend. I do make a portion off any you may purchase. But I wouldn't link to them if they weren't awesome! "Boys don't carry bunnies, they carry Ducks." Which is a reality in our family since we have chickens. My youngest carries them around like they are his best friend. So I wasn't worried about going with a duck basket instead of the bunny for my baby boy. 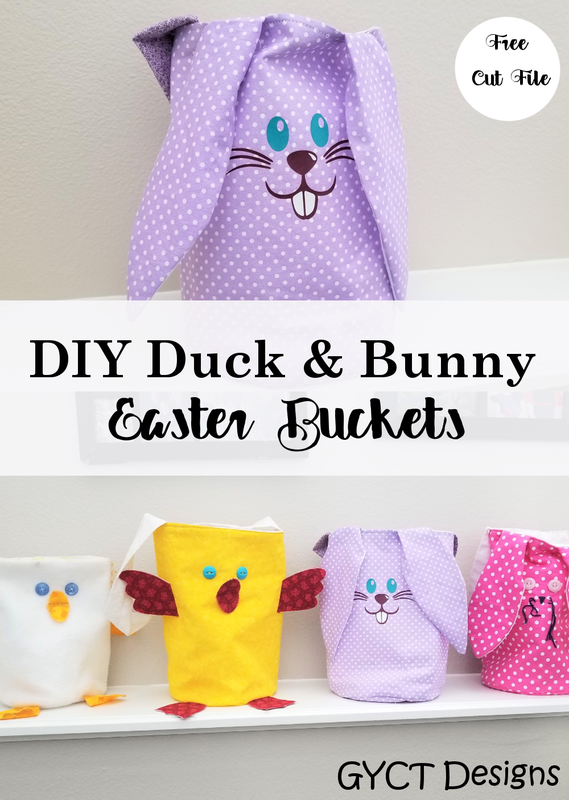 That is how the Duck Easter bucket came into existence! 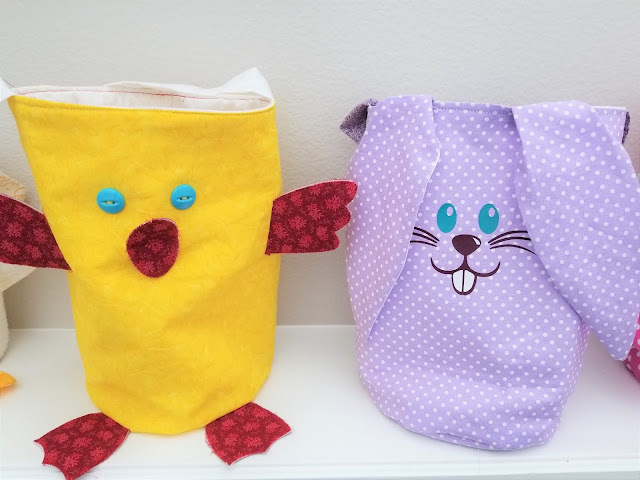 I'm excited to share how to make your own Easter basket. 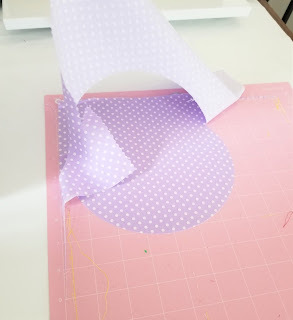 Not only can you print out a PDF sewing pattern but I've also put together an SVG cut file to use to cut out on your Cricut Maker. 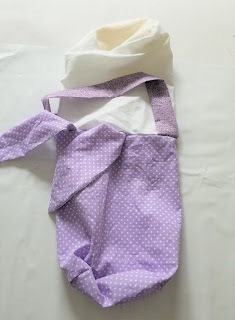 You don't have to use a cutting machine to make this project. Check below to print the pattern or get the free SVG files to make your own. 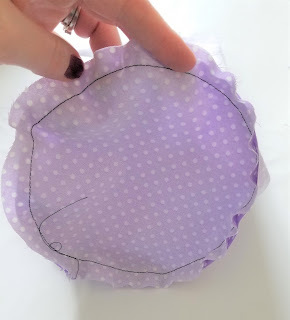 Download the PDF pattern and cut out the pieces you need. Press interfacing to pieces. 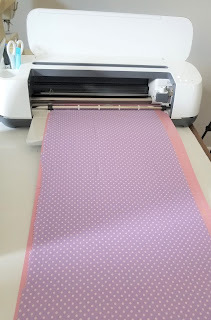 Upload the SVG files to your Cricut Design Studio. You'll want to make sure the sizes are correct. 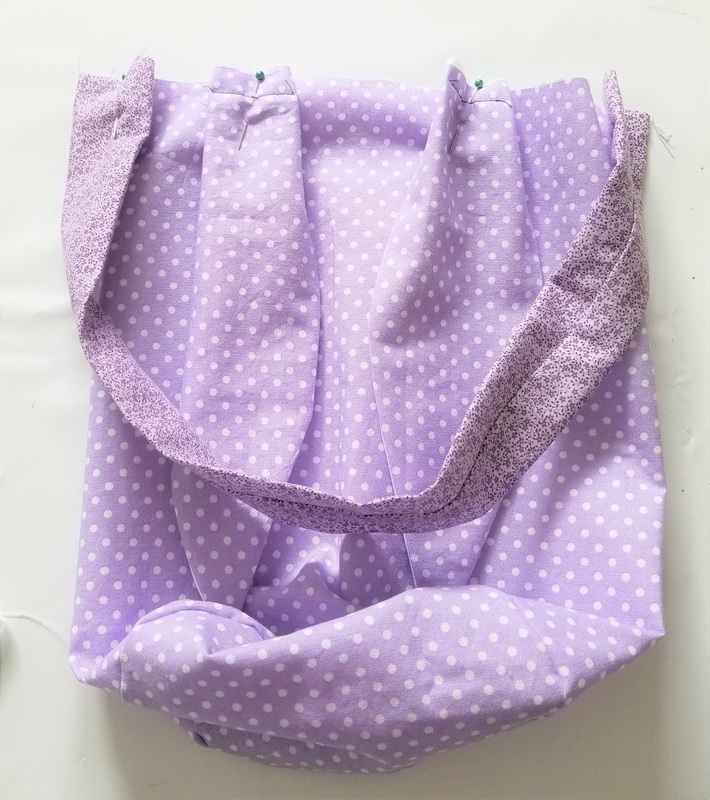 Main bucket should be 11 x 21"
Circle bottom 7 x 7"
Bucket handle 4 x 23"
You'll need to cut out the main bucket and bottom out of main fabric, lining fabric and interfacing. Cut just one handle. 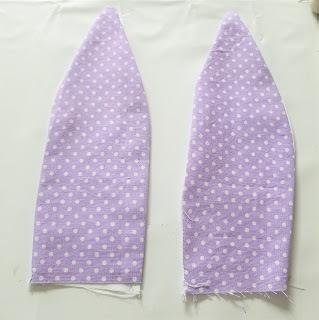 Send pieces to cutting machine and cut out. Press interfacing to pieces. For the duck, sew your pieces together and then topstitch them. Pin them to your top layer starting in the center with the beak. Stitch them in place. 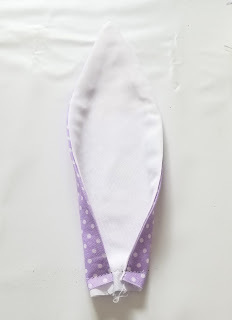 For the bunny, with right sides together, stitch one main fabric and one lining ear together. Leave the bottom straight edge open. Press. Clip the top point. Turn right side out and press again. Then fold over each of the sides toward the center lining. Stitch across. Repeat with opposite ear. 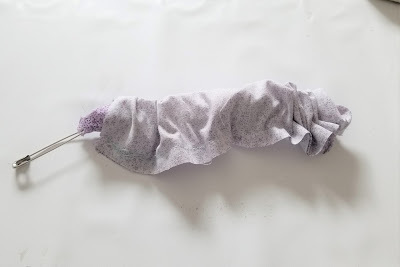 Fold the handle piece with right sides together, along the long edge. 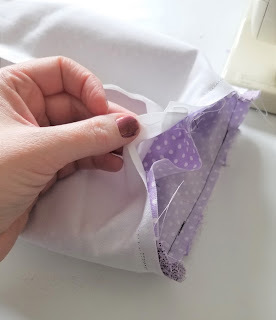 Stitch down the long edge. Use a safety pin to turn it right side out. Press and set aside. 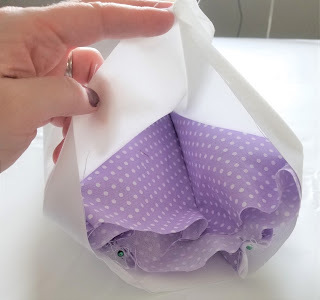 Fold the main bucket piece in half matching the short sides. 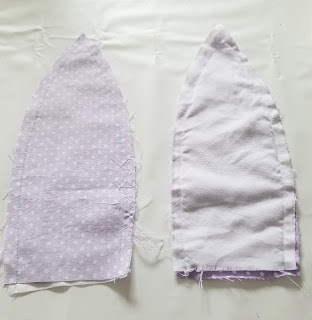 Stitch down the short side. 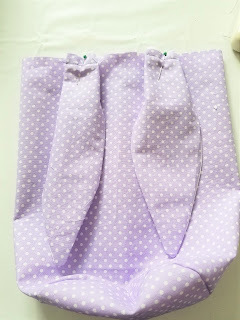 Repeat with lining piece. Open the main bucket and pin the round bottom piece to the main bucket. Stitch in a circle. For the duck, make sure to insert the tail before closing your main bucket. Repeat with lining pieces. Place bunny ears on the front of the bucket and pin. Place the handle on either side of the top raw edge and pin. Place the main bucket into the lining bucket with right sides together. Pin around the top. Stitch. Make sure to leave a 2-3" opening so you can turn your bucket right side out. Turn your bucket right side out. 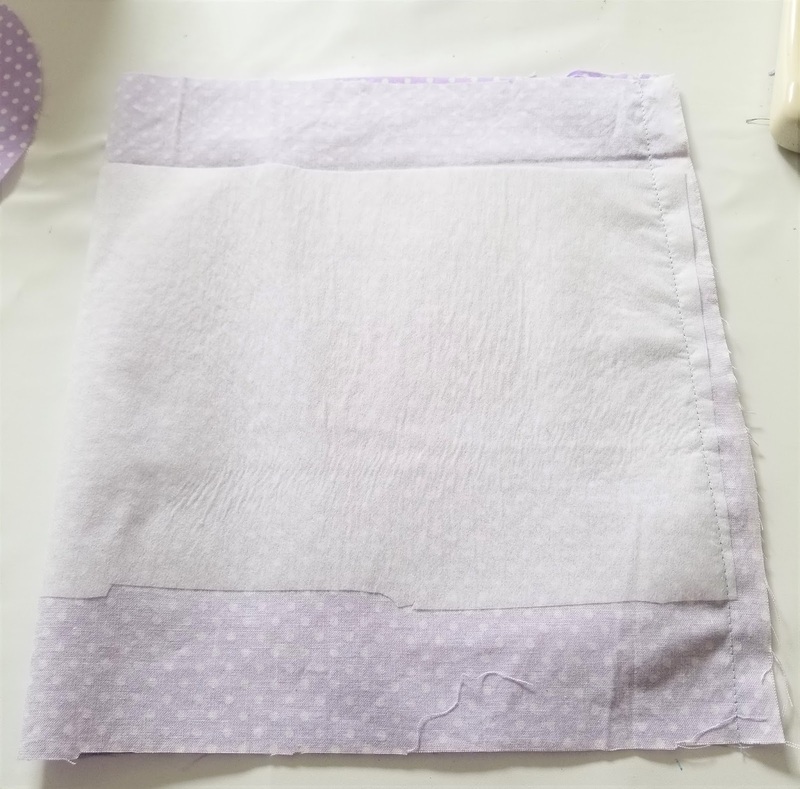 Tuck the lining into the main bucket and press. Add eyes, a mouth and whiskers to your bunny and eyes to your duck. 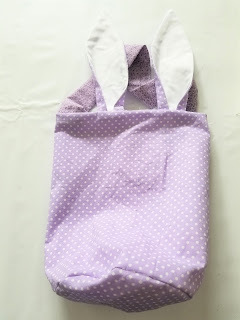 You can use buttons, yarn or even HTV vinyl like on this bunny. I don't know about you, but I'm pretty sure these duck and bunny Easter buckets are a hit. They are a pretty quick sew too. 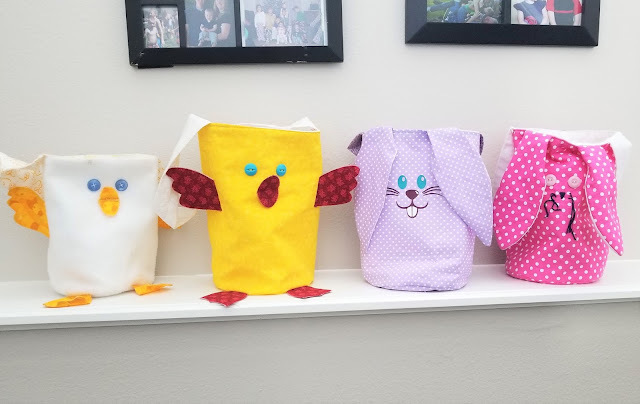 It is so easy to make your own Easter basket that you can make a new one each year if you want.